"The sureness, eloquence, humour and hope of this novel will endear it both to Patrick Gale's many fans and to those coming to his work for the first time." Patrick Gale's most recent book, A Place Called Winter, was set mainly in Canada in the early 1900s, drawing on the experience of his great-grandfather, a pioneer farmer in the prairies. His new novel marks a return to more familiar territory - boyhood and adolescence in the West Country, music, the complexities of love, sexuality and relationships. 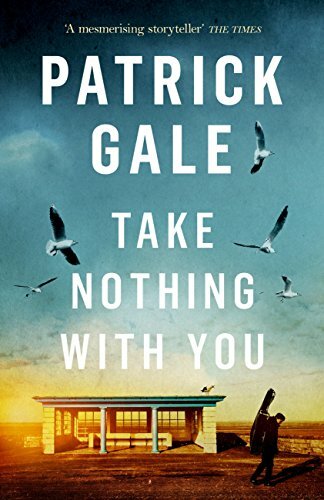 Take Nothing With You sounds like a foreboding of death, but although the threat of death is always present - central character Eustace's parents run a retirement home, where any reference to 'change' in the resident population is euphemistic - the novel is ultimately about survival and the renewal of hope. Our first encounter with Eustace is as a man in his fifties, recently diagnosed with thyroid cancer and about to experience radioactive treatment. Having lost one lover to AIDS and another to mutual indifference, he's been alone for some while, but has recently fallen in love, long-distance, with a much younger man, Theo. They are soon to meet in person for the first time, but although they've shared confidences via Skype he has yet to tell Theo of his cancer treatment, fearing that such news would end the relationship before it's properly begun. In the lead-lined room in which Eustace receives his treatment, everything he wears or touches must be discarded afterwards, so he must take nothing he wants to keep - a warning which give the novel its title. But the main part of the story concerns itself with his boyhood in Weston-super-Mare and the growing importance of music in his life. An unsporty misfit at his fee-paying school, he finds purpose and expression in playing the cello, taught by the flamboyant Carla Gold. Through her, he enters "a world in which art, headily, was everything" and meets pianist Ebrahim and painter Louis, with the revelation that two grown men can live openly as a couple. Relationships, however, prove fickle for all the adults in Eustace's life. Like L P Hartley's The Go Between, this novel of emerging sexuality and self-awareness allows the reader to see tensions in adult interactions over the head, as it were, of the viewpoint character. The marriage of Eustace's parents undergoes a cataclysm, the remnants of which we partially assemble from the present-day episodes. Although Carla quickly sees Eustace's talent, this isn't a tale of a prodigious performer who soars to the heights against all odds. There are practical difficulties: although Eustace secures a place at music school, his parents can't afford the fees. 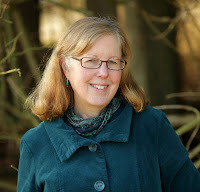 His potential is seen by Jean Curwen, another charismatic teacher who runs a summer school, and although she seems to offer a solution there are plenty of other talented players who deserve her attention. And a family crisis, combined with a change of school, pushes Eustace's cello-playing into the background for a while. The Ancrum summer school section is particularly intense, with the hothouse atmosphere of living with strangers and the potential for friendships and sexual encounters. Eustace has a hurtful skirmish with a handsome older boy, but also forms a lasting and important bond with fellow cellist Naomi, who plays a significant role in the present-day scenes. And Patrick Gale excels when writing about the music - which is notoriously difficult, but these sections sing from the page. A cellist himself, he give enough but not too much technical detail, alongside a sense of how it feels to play in a group, the lines interweaving to powerful, poignant or playful effect. "Ralph played a hesitant sort of interrupted monologue on the violin to which Eustace's cello responded with a sequence of pizzicato phrases while the other three players sustained harmonies that shifted so slowly the changes in tonality were barely detectable. It was like watching a square of moonlight move across a floor." Eustace gradually appreciates that "it was chamber music, the creation of music with others, not pyrotechnic solo playing, that was the benchmark of true musicianship." Reading this, those of us who aren't musicians will wish that we were able to take part in this most exhilarating form of communion. "Music knits," Jean tells her students. "It heals. It is balm to the soul but is also the refiner's fire. It requires rigour and application." (Like writing.) The sureness, eloquence, humour and hope of this novel will endear it both to Patrick Gale's many fans and to those coming to his work for the first time. Take Nothing With You is published by Tinder Press. Thanks, Linda. I'm an admirer of Patrick Gale, who can write about important things in an interesting and accessible way. I wish there were more of him! I love his books, too, and am gradually working my way through them - read A Place Called Winter while snowed in earlier this year! Really looking forward to this one.